With so many things to do and see during your Myrtle Beach vacation, it's difficult to narrow down exactly what to do! Especially when traveling with school-aged children, you may be on the lookout for something to keep those brains engaged during Summer vacation. One way to experience the beach with an educational twist is by taking your family to Myrtle Beach State Park for a variety of fun Summer programs that will provide new and interesting knowledge for all! Throughout the Summer until August 26, the State Park puts on its Summer Program, and most of these programs are free with paid admission to the park ($5 for adults, $3.25 for seniors, $3 for kids 6-15, free for kids 5 and under). Programs and activities occur daily Tuesday-Sunday, and there will be a special presentation and Solar Eclipse viewing on Monday, August 21, 2017. On Tuesdays during the Summer, test your luck from the pier, as you participate in "A Crabby Experience," the park's catch and release program that brings you up close and personal with fish, crabs, and other sea creatures. Stick around and visit the activity center for Scary Seas and Dolphin Dilemmas, where you'll learn more about ocean life! Wednesdays bring visitors to "Tracks Among Us," in which for $5, guests can create their own animal track masterpieces in the Activity Center. You can also learn more about Sea Turtles and the Sounds of Nature when you visit the park mid-week. If you visit on a Thursday, look forward to seine net surf fishing, "Destination Turtle DNA," "Gator Gossip," and State Park secrets! Saturdays take you on Sea Turtle Patrol, and offer up interactions with the local catches of the day! You can have the opportunity to touch and interact with a variety of animals when you visit the park on Saturday, as programs include "Tales From the Sea," "Feeding Time," and "Creature Feature." Finally, check out Sunday's activities, which include "A Turtle-y Journey" and "Batty for Bats." Experience a fun and educational time in Myrtle Beach whenever you visit our very own State Park. Enjoy the beauty of the natural world that surrounds us at all times. 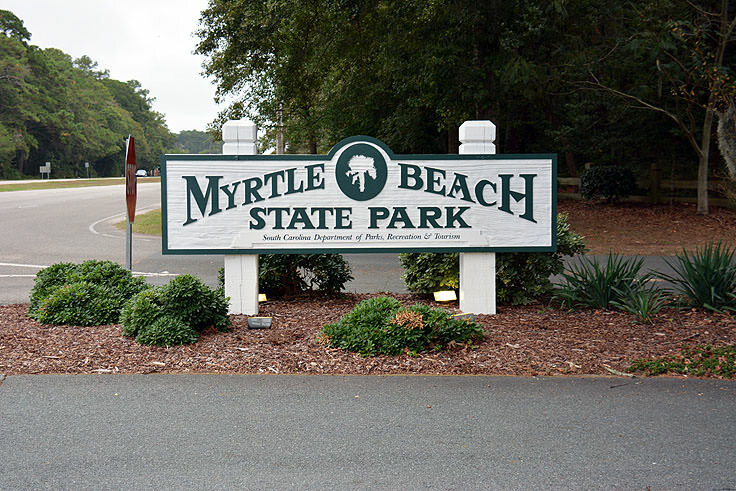 Your Myrtle Beach vacation rental experience is sure to leave lasting memories when you take a step off the beaten path and into the State Park!